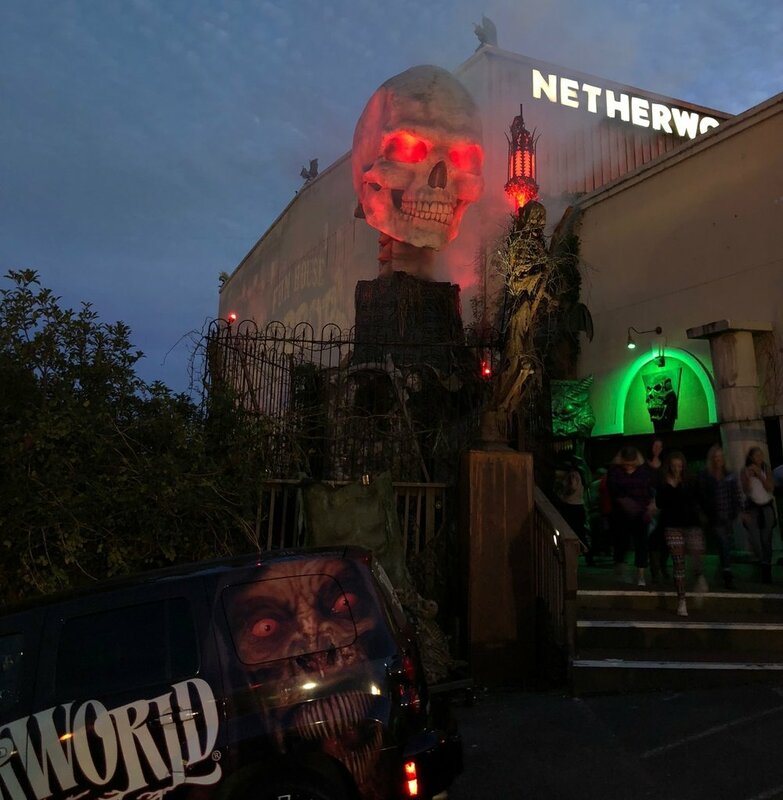 To celebrate #MonsterMonth and for the second year in a row, Karl & Tonya from When It Was Cool visited the most impressive Halloween haunted house attraction we have ever experienced- Netherworld in Norcross, Georgia just north east of Atlanta. Netherworld (FearWorld.com) so far exceeds any other haunted attraction we've ever been to that it is literally on a whole other level. This year we took in both the main Netherworld haunted house and the separate 3D clown themed fun house. Both attractions were exceptional. This year we also had the foresight to purchase the speed pass tickets from their website FearWorld.com which turned out to be a great idea allowing us to skip the lengthy line. Even after adding the speed pass tickets we still found the Netherworld haunted attraction to be affordable and well worth the price. 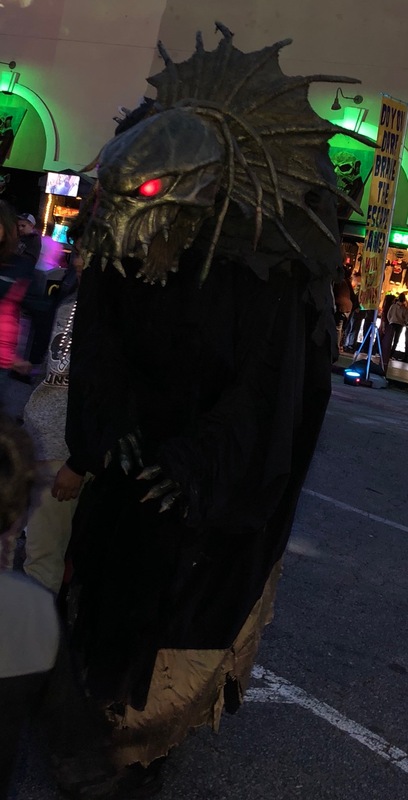 In fact, we were impressed that everything at Netherworld was reasonably priced including the items in the gift shop and the food vendors set up outside. There are plenty of photo opportunities outside with both actors and set pieces. Best of all, none of them are charging extra for this. It was very refreshing to go to an attraction and not be hit with numerous extra fees. All the actors had exceptional costuming and all were friendly and accommodating. The haunted house itself so far exceeds what we have experienced at other haunted houses that it is like comparing a local school play to a big budge Hollywood movie. The haunted house is huge! You get more than your monies worth inside as it took us about an hour to go through both attractions. We did not feel rushed at any point and actually had time to see all the different rooms and areas inside the attraction without being pushed through too quickly. Obviously, photography isn't allowed inside the actual haunted attraction itself but take our words on it- we have covered many Halloween attractions and none of them can touch Netherworld for set design, costuming, or value. For a more detailed description of what's inside check out the latest DragonKing Dark Podcast. The costuming and animatronics are so elaborate that it is often impossible to tell what is a piece of animatronics and what are actors. There were several times inside that we were fooled into thinking something was a piece of statuary only to see it move! Best of all, jump scares were actually limited! It's a haunted house so, of course, there are a few, but most of the scares came from the set itself which was absolutely amazing. There was an excellent variety of set design themes. Karl is a fan of the dark, macabre, and occult while Tonya enjoys clowns and dolls and we both got plenty of what we liked. There was a wonderful variety of atmospheric settings from your classic haunted house, graveyard, and gothic scenes to an elaborate alien zone and impressive underwater-sea theme as well. Have fun taking pictures with elaborately costumed characters and fun set pieces without being hounded for money. We had a blast checking out all the cool stuff outside! 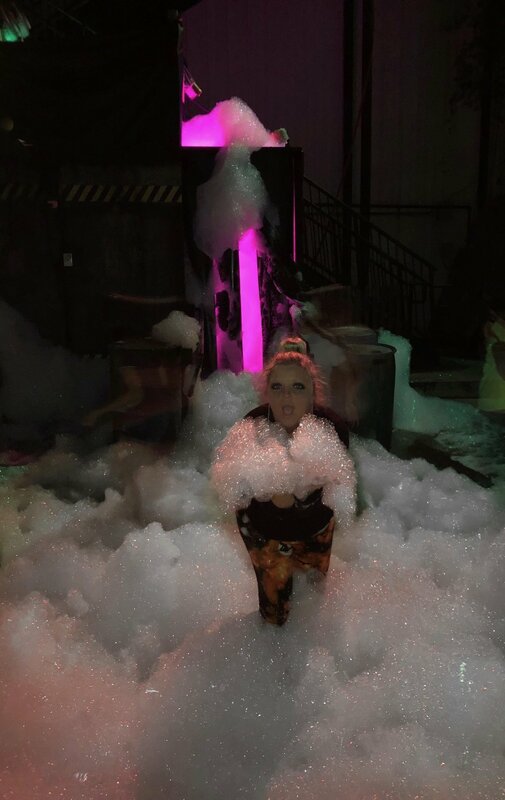 The foam room was surprisingly more fun than expected and a nice chance to cool down. Another wonderful set piece outside that is perfect for photo opportunities. The costuming at Netherworld is exceptional and virtually movie quality. There are no dollar store Zombies or discount store clowns here! You literally are walking into another world- a Netherworld! If you enjoyed this article please consider becoming a Patreon for our website. You not only support our website but get access to hundreds of digital downloads!